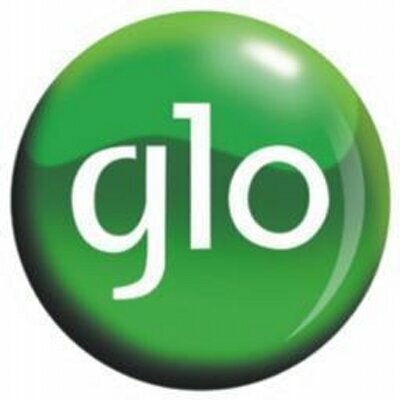 Glo Nigeria is a reputable telecom provider in Nigeria. The brand is widely known among Nigerians as the master of data, little wonder it's catch phrase accents 'the grand masters of data'. Aside being the brand with the cheapest internet bundle, Glo Nigeria is the only indeginous owned telecom firm operating in Africa. Internet data back then in 2014/2015 had seems so cheap leading to the wide assertion by Nigerians that this brand is surely the grand masters of data. From the time earlier outline up till the time of writing this post, Glo Nigeria has drastically reduced their data volume for each corresponding plan. Even with this, no other telecom brand could bulster to take the place of Glo as the cheapest data network in Nigeria. The reason is simple. In the two times Glo did review their data plans, MTN , Airtel and 9mobile also reduced the data accrued per plan. Still staying top in adversity endeared Glo Nigeria to many Nigerians including me. It is also good to note that Glo Nigeria did earn more subscribers during that time than other telecom operators except MTN nigeria. All the worship aside, Glo Nigeria is the worst network provider in Nigeria with the least network availability. Even when in it's full coverage( that's if you are near where their mast is located), their network is still slow and to a certain extent unreliable for browsing. If you've been incapacitated from accessing the internet by bad network with a bulky unused data, you will understand more. Notwithstanding, there are certain places inwhich the Glo network is good, maybe because there's 4G availability. You enjoy more of their data plans in such places. As was stated before, there's no other telecom network to fly to that would get you a data match to GLO Nigeria's. All the plans listed as you read on works perfectly well on 2G, 3G and 4G devices as well as on Android, Modem and iOS. With just N25, you can get an instant 10MB for 24hrs - which isn't that difficult to exhast. To subscribe for it, dial *127*32# or text 32 to 127. Note: Upon renewal or if you're using a new sim, you will be given 12.5MB for that same price. This is a much better bundle to the one above given that the data volume accrued is better. It is valid for a day and can be subscribed to by sending 14 to 127 or dialing *127*14#. Note: Upon renewal or if you're using a new sim, you will be given 27.5MB for that same price. valid for a day, you can subscribe to this plan by sending 51 to 127 or by dialing *127*51#. Note: Upon renewal or if you're using a new sim, you will be given 100MB for that same price. This plan is better in data volume and in time span.The plan is valid for a five days and can be subscribed to by sending 56 to 127 or by dialing *127*56#. Note: Upon renewal or if you're using a new sim, you will be given 262MB for that same price. This plan gives one flexibility when it comes to the duration. With ₦500, you will be accorded 800MB valid 14 days(2 weeks). It's MTN counterpart is just valid for 7 days but with a data volume of 1GB. To opt in, text 57 to 127 or dial *127*57#. Note: Upon renewal or if you're using a new sim, you will be given 1GB for that same price. These plans are the most subscribed to. The reason being that it's always for a duration of 30days. This matches with many people's income projections. This is our favourite plan because it's the cheapest 30 days plan across different telecom companies in Nigeria except if you are on MTN double data. Dial *127*53# or text 53 to 127 to subscribe to this plan. Note: Upon renewal or if you're using a new sim, you will be given 2GB for that same price. With an airtime worth of ₦2,000, you can be entitled to 3.65GB worth of data. Get that by dialing *127*55# or sending 55 to 127. Note: Upon renewal or if you're using a new sim, you will be given 4.5GB for that same price. With ₦2500 you can subscribe for this bundle to get a whooping 5.75GB data volume. To get such, dial *127*58# or text 58 to 127. Note: Upon renewal or if you're using a new sim, you will be given 7.2GB for that same price. To subscribe to this plan, dial *127*54# or text 54 to 127. Note: Upon renewal or if you're using a new sim, you will be given 8.75MB for that same price. ₦4000 gives you an enticing 10GB data volume. Dial *127*59# or text 59 to 127 to get this. Note: Upon renewal or if you're using a new sim, you will be given 12.5GB for that same price. This is another juicy Glo monthly plan. Dial *127*2# or text 11 to 127 to obtain it. Note: Upon renewal or if you're using a new sim, you will be given 15.6GB for that same price. Dial *127*1# or text 12 to 127 to subscribe for this plan. Note: Upon renewal or if you're using a new sim, you will be given 25GB for that same price. To obtain this premuim data, dial *127*11# or text 15 to 127. Note: Upon renewal or if you're using a new sim, you will be given 32.5GB for that same price. Dial *127*12# or text 16 to 127 to subscribe. Note: Upon renewal or if you're using a new sim, you will be given 52.5GB for that same price. Dial *127*13# or text 17 to 127 to opt in. Note: Upon renewal or if you're using a new sim, you will be given 62.5GB for that same price. To get this data volume, dial *127*33# or text 33 to 127. Note: Upon renewal or if you're using a new sim, you will be given 78.75GB for that same price. Popularly refered to as the N200 night plan, it's for a duration of a night(12am-5am). Text 60 to 127 or dial *127*60# to subscribe. Popularly known as the TGIF plan, it gives 3GB for just 500 naira. This data volume lasts for just 7 days only on weekends (12:00AM on Saturday – 11:59PM on Sunday). Fortunately aswell it works on weekdays also but from 12AM – 5AM (Mon-Fri). Text 61 to 127 or Dial *127*61# or *777*1*1*7*2# to subscribe. Most instances after subscribing for a data plan, you're on auto-renewal. This means upon expiration of your bundle, you will be automatically be subscribed for another. If you don’t want such you need to deactivate it by sending Cancel to 127.